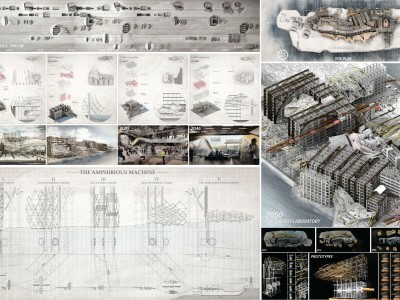 WINNING PROJECT: Amphibious architecture – Projective Obsolescence of the Techno-Ruin | gURROO - A new generation of innovative minds. 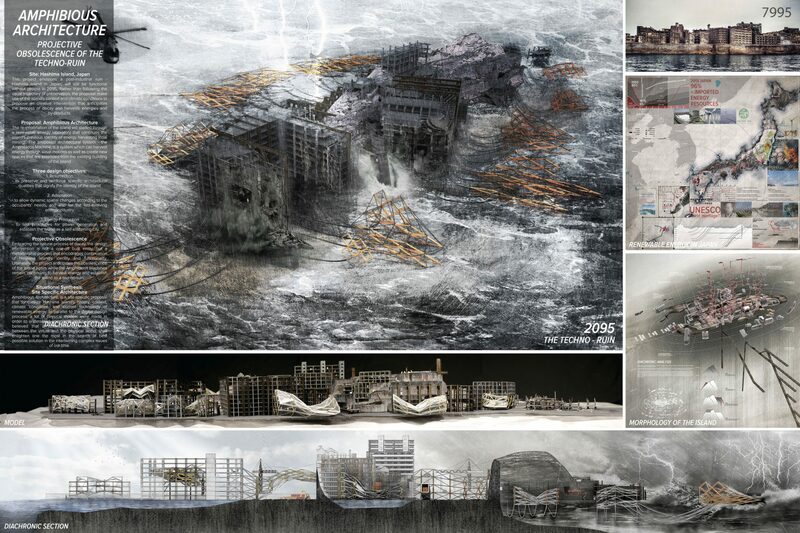 This project envisions a post-industrial ruin – Hashima Island in Japan, will still be functional without people in 2095. Rather than following the usual trajectory of preservation, the proposal make use of the island’s context and climatic conditions to propose an creative intervention that anticipates the process of decay and harvests energies and by-products. – to test prototypes for power generation and establish the island as a self-sustaining city. 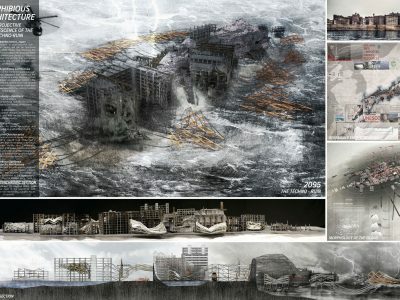 Embracing the natural process of decay, the design intervention is not a one-off built entity, but a metamorphic process that encourages continuation of Hashima Island’s identity and functionality. Ultimately, the project anticipates the obsolescence of the island again, while the Amphibious Machines remain, continuing to harvest energy and establish the island as a techno-ruin. 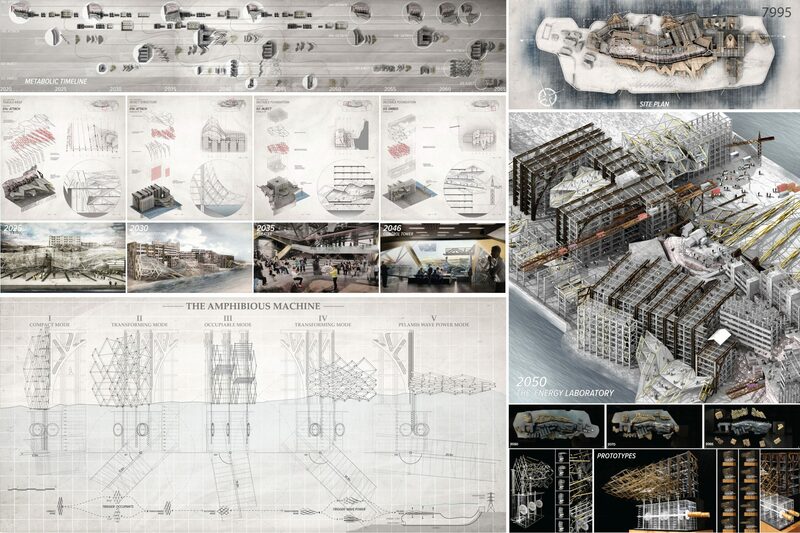 Amphibious Architecture, is a site specific proposal that synthesize Hashima Island’s history, context, climatic conditions, and current technology of renewable energy. In parallel to the digital design process, a lot of physical models were made in order to understand constraints and potential. It is believed that a continuous synthetic process between the virtual and the physical world, shall enlighten one the most in the search of best possible solution in the intertwining complex issues of our time.